Mitchell 1 is a desktop based software service that has provided repair information to the automotive industry since 1918. Mitchell 1 provides a suite of products that help auto repair shops with their repair information, shop management, marketing, estimating and commercial truck management. Mitchell 1 was developed with the idea that people need information to fix cars. It is mostly used by automotive repair shops across the nation. 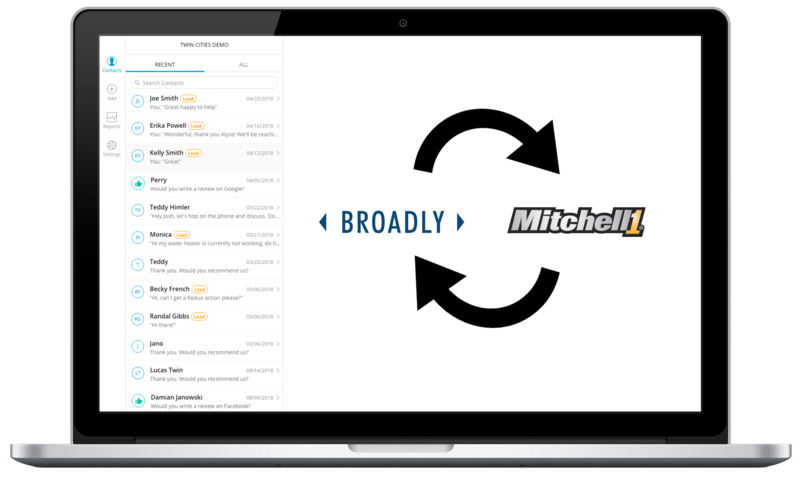 Broadly connects to your Mitchell 1 system to make customer follow up easy for you. Our team will integrate with Mitchell 1 and review requests will automatically be sent out when either an appointment or a repaired order are completed.